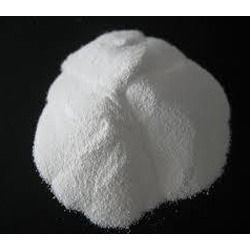 Established in the year 2000, Nexgen Chemical is a distinguished enterprise highly engrossed in Manufacturing and Exporting of Chemical Compound, Organic Compound, Boric Acid, Carnauba Wax, Crude Iodine, Ammonium Ferric Citrate, Gelatinous Substance, Inorganic Compound, Immersion Oil, Laboratory Chemicals,Magnesium Metal Turning, Wool Wax, Acenaphthene Chemical, Magnesium Metal Powder and Malt Sugar. His huge information and familiarity in this dominion has enabled us in completing an exceptional accomplishment. Nexgen Chemical is potential manufacturer, supplier and exporter of more than 14000 chemicals, Stains, Indicators, Solvents of LR/AR, HPLC, UV grade to select from and supplies them across the globe. We have been providing Digital class room, computer education and chemicals to Indian Schools. We are helping generation to grow and get educated. We provide better quality of goods and services along with quick delivery assurance in competitive prices. Our commitment focuses on “Quality without compromise”, with prompt response to an order, with products that meet customer requirement and specifications. Quality is supreme to us as we follow a stringent quality control procedure for all our products. The manufacturing process is carried out under strict supervision of technically proficient staff as per predefined processes and procedures. We are well known company in India who believe in hard works, honesty, loyalty and transparency. We are known for betterment and very loyal to our buyers. We do respect our consumer and help them to achieve profitable goal. Contact us to know how you can be our satisfied customer and share your contact details too. We just need your support and cooperation please shares your chemical requirement and we assure you the best of our service. We look forward to hear from you soon.